Both my kids love the bath, they both stay in till the water is cold and there fingers and toes all wrinkly. I've noticed that they tend to wash themselves better when a character they now is on the front or there is an element of fun with something they are using. Tesco have just launched a great new fun bathing range and send us a few items from the range to test out. 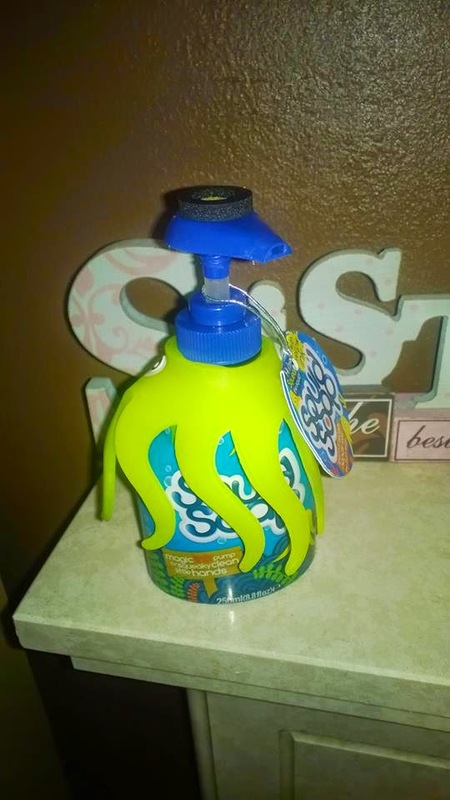 First was the Squid soap, which I thought was a great idea to teach children how to wash there hands for a longer period of time. I know mine always forget and I have to remind them to go back in and wash. When you press the soap dispenser, a circle ink dot ( squid ink) is left behind. Then the children have to wash there hands with the soap and only the ink circle had gone there hands are squeaky clean. I think this is a perfect way to get children involved with how to wash there hands properly. 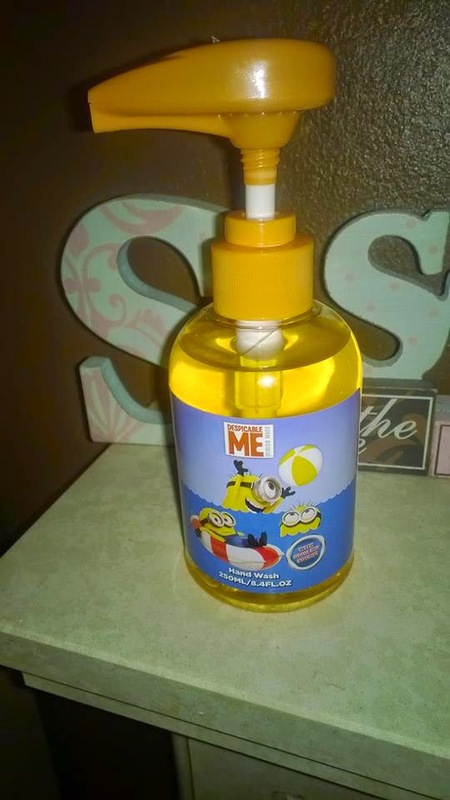 Next we had to review was this very cool Despicable Me Hand Wash. Both of the kids love minions so this is the one they went to first out the two with the lovely bright design. 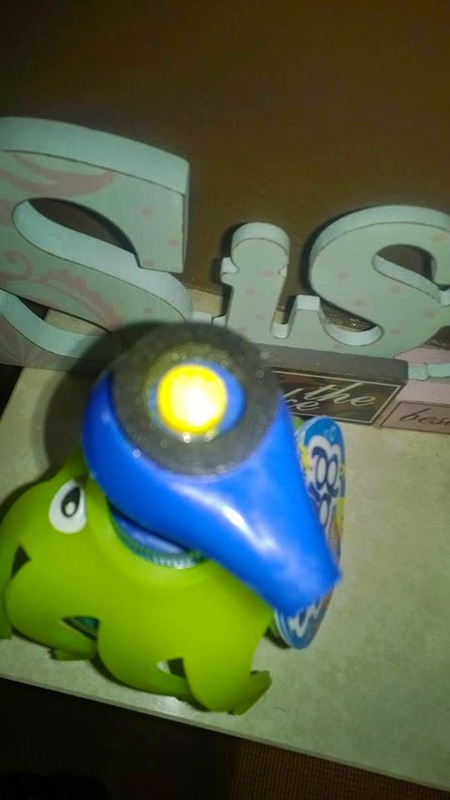 This is very cool and different as when you press the top it giggles, talks and makes funny sounds. So you can imagine their delight when they realised this and it kept them entertained for a while. It's really good as I can now hear when they have and haven't washed their hands due to the sounds. Well now you can build your very own Olaf at bath time with the new Disney Frozen Bath and Shower Bubbles. The Bath and Shower Bubbles is hypoallergenic and has been designed specifically for children’s delicate skin and, with a hint of glitter, it adds a bit of fun to bath time. Following the launch of Academy Award winning film, Big Hero 6, Tesco will be stocking the new bathing range to accompany the blockbuster family film. The Big Hero 6 range includes Bath & Shower Bubbles £2.00; Magic Facecloth £2.00 and Sponge Mitt £1.60 and has been designed with children in mind. It is hypoallergenic, mild and kind to skin. The full kids bathing range featured here is available in store and online at www.tesco.com.